The cars around town generally seem to be exactly like those in America. A lot of them are new and SUVs are all around. But every once in a while you'll see a car obviously from the Soviet era. And on special occasions we'll get to see what' we've come to call The Ukrainian Car. 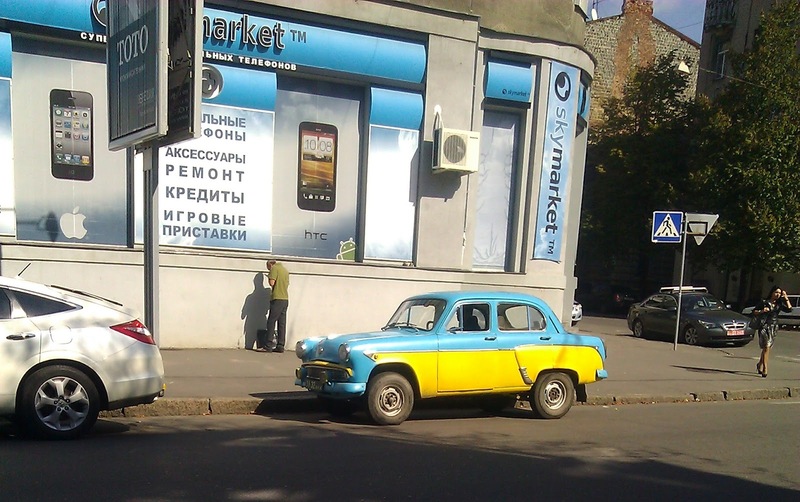 It's Ukrainian patriotism all wrapped in a yellow and blue paint job and four wheels. Here we found it parked near our first apartment. Later, we were lucky enough to see The Ukrainian Car in action!